We are so proud that our clients entrust us with their media streaming. Read more about them here. Kanal Hovedstaden is a Danish TV station broadcasting to the greater Copenhagen area on terrestrial and cable networks. They are a collective of 9 smaller TV stations sharing the same channel frequency. Traditional hardware solutions had been deployed on location to manage media storage and scheduling. Program listings were done in a separate system from the scheduling and there was no front facing Internet features available, and only two of the stations had the ability to transmit live. During the planning and implementation period several additional features were developed to meet their specific requirements. Among them a custom module for their required quarterly reports to the Danish Ministry of Culture according to their specifications. 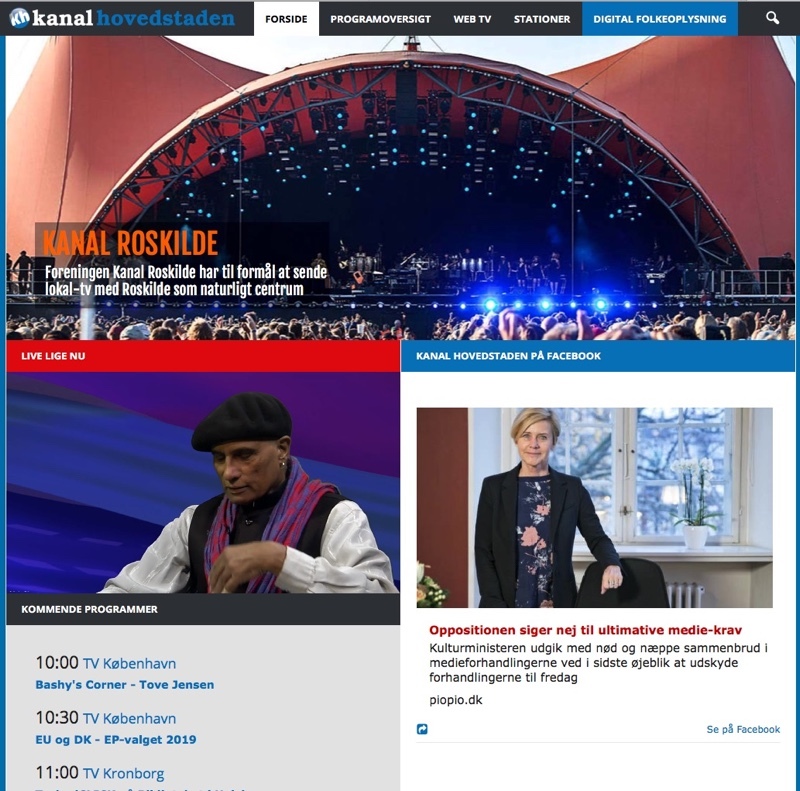 As well as custom XMLTV format for delivering program listings through the Danish Broadcasting Corporation. After the implementation, onboarding and technical approval was completed. The Ripple.Systems platform went live on-air and online at the projected date. Added separation of groups/sub-stations and their management. Onboarding courses and help for users to migrate to the new platform. Ongoing dialogue to develop the platform with further user tools. Migration of old metadata database to the new platform. Custom XMLTV outside standard specifications. Deployment of new SDI head-end hardware at point of delivery. Implementation of audio watermark system for TV ratings. Assistance to implement third party TeleText solution.